At AssetHERO Property Management, we work with tenants in the Bryan and College Station area. First and foremost, you will always be a valued customer. We make life easy by giving you an online portal which allows you to make payments and submit maintenance requests with ease. We will ALWAYS treat you with respect and care. All maintenance needs will be handled as efficiently and quickly as possible. If you’re a current tenant, log in to your portal to make an online rent payment, schedule automatic payments or request maintenance. When you have an emergency, call us right away at (888) 551-3608. Emergencies include uncontrollable leaks or running water, an electrical short circuit or the smell and presence of gas, fire, carbon monoxide or smoke. If someone needs medical attention, always call 9-1-1 first. We require all applicants age 18 or older to submit an application. Income, employment, rental history and criminal backgrounds will be verified. Click here to access our detailed Application Criteria. The property you’re interested in will remain on the market during the approval process, so make sure you provide all the information we need. Be prepared to pay the security deposit and the first month’s rent as soon as you’re approved. Here is a full list of our Application Policies. Our leases are from the Texas Association of Realtors, and they are designed to protect you as well as the property owner. We want to make sure everyone understands their expectations. Click here to check out a Sample Lease Agreement. If you’re ready to view our properties, check out our listings. When you find something you like and you think you’ll qualify for it, contact our leasing agents to schedule a showing. When and where do I pay rent? Please refer to your lease to determine exactly when your rent is due and when late fees will be charged as stated in your lease agreement. You can also view the terms of your lease on your online portal. You may also pay online by logging into your online portal. AssetHERO Property Management does not accept cash payments. Please make sure your home address is written on your funds. Acceptable forms of rent payment are personal checks, cashiers’ checks or money orders, and online payments. Why does AssetHERO Property Management want to inspect my home? As the owner’s representative, we are responsible for reporting the condition of the property. By inspecting the property on an periodic basis, we are monitoring the maintenance, care and condition of the owner’s investment. This also benefits you, as our owners are now in a position to approve maintenance, repair and replacement items that might not have come to light otherwise. According to the lease agreement, it is our right to see the property, but we respect that this is your home. We will set a date and time for the visit. You are welcome to be at home during the inspection, although this is not a requirement. How do I get help for maintenance and repairs? How long should I wait to hear back from someone regarding a service request? In a non-emergency situation, please allow one to three business days. If you have not heard from a vendor after this amount of time, please contact our office. If the home you are renting is covered by a home warranty, the process is a little different by not having control over when the vendor will come to assess the request. However, you will be notified on when they will be coming by. What do I do if I have an emergency maintenance request? Emergencies are considered anything that can endanger your safety or cause catastrophic damage to the property such as uncontrolled running water, electrical short circuit, the smell or presence of gas, fire or smoke and carbon monoxide. There are few emergencies. However, should you have a maintenance emergency, you can call our main office number, (979) 353-2567, 24 hours a day. If you have a valid emergency, someone will contact you as soon as possible to assist you. Stay by your phone and off the line. For fire, medical or natural disasters always call 9-1-1 before you contact our office. As a tenant, you are responsible for the monthly changing of their air conditioner/heating filters, replacing smoke detector batteries when needed, replacing light bulbs, keeping provided appliances clean, and yard watering and maintenance, if not included. If you are not sure of your responsibilities as a tenant, please refer to your lease, the Tenant Handbook, or call our office. Does AssetHERO Property Management allow subleasing? AssetHERO Property Management does not allow subletting under any circumstances. However, tenant changes are permitted. Call our office to inquire more about this process. Yes. Any changes or modifications to the property (inside or outside your home) you must submit, in writing and receive approval BEFORE the modifications are made. Failure to submit a request is a violation of the lease agreement and could result in deductions from your security deposit. Your residential lease agreement outlines your obligations under the lease. You will be financially responsible for the rent until a replacement tenant is found. 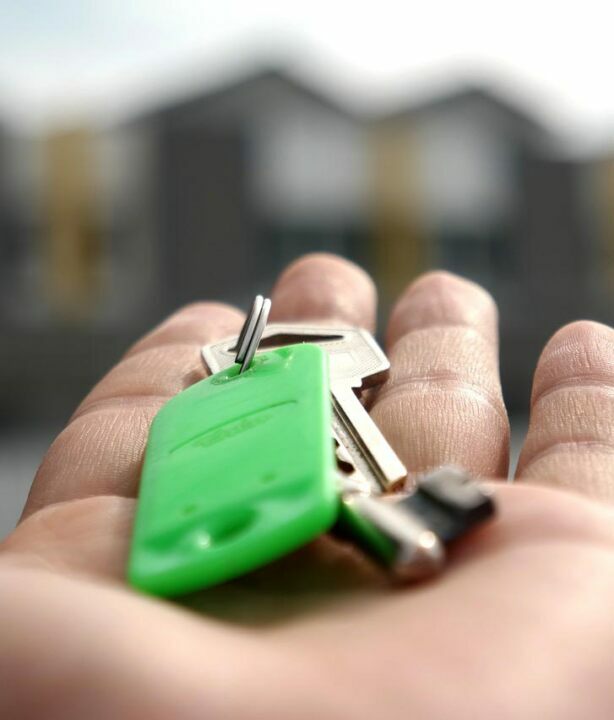 Please consult with AssetHERO Property Management as soon as possible to discuss your situation in detail before breaking your lease which can adversely affect your credit. What happens if only one of the residents on the the lease moves out? Contact AssetHERO Property Management to discuss the procedures and forms necessary to remove or add a resident. The security deposit will remain with the lease until all residents in a property have moved out. Where do I get a key to the mailbox? In most cases you will need to take your lease to your nearest post office to obtain your mailbox number and key. Yes, in most cases. Some Homeowners Associations may have certain restrictions regarding a satellite dish being installed. The dish is to be installed in the ground only; installation on the roof or structure is prohibited. You must submit a request to AssetHERO Property Management and sign an agreement prior to installing the dish. Consult AssetHERO Property Management for details regarding a satellite dish at your property. Pets are not allowed at any of AssetHERO Property Management’ managed units for any period unless agreed to in writing in the contract. Residents are responsible for pest control treatments unless it is for wood-damaging insects. You may consult with your property manager about specific details should you have an unusual pest control problem. Although not required, it is HIGHLY recommended that all tenants carry renters insurance to protect themselves and their personal property against losses. The owner’s insurance does not cover your personal property. Being faced with having to replace all your valuables can be a financial disaster. Your insurance agent can advise you on this type of coverage. The cost for most renters insurance is very affordable and well worth the expense.